Hawai‘i has many opportunities to engage in a Zero Waste Lifestyle. This page is designed as a resource to find businesses, experiences, or recurring events that focus on Zero Waste. Want to find a place to eat out or get take out from that isn’t using single-use plastics? OFR Hawai‘i is a great program through Surfrider Foundation that connects you to these businesses and asks you to get involved by talking with your favorite restaurants about more sustainable behavior. Kokua Market is O‘ahu’s co-op where you can find organic foods and bulk refill stations. The market is going through some major changes and is need of community support. You can go to their website to find out more. 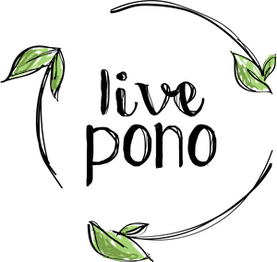 Pono Home helps you transform your household into a greener, more efficient, sustainability hub. Many of their programs focus on zero waste - for instance there refillable, organic personal care products are a great start! They are also a certified B-Corp.